In an upcoming post, Incendiary Traces will report on its recent visit to Border Field State Park to draw the wall that exists between the United States and Mexico. For those who haven't been to the border since its construction, the wall there is actually two sets of fences built at separate times. The first row, furthest to the south, is composed of broad strokes of rusted steel laid out consecutively every six inches and reaching up towards the sky. The second resembles a prison gate made of pale metal and mesh. Encountering them for the first time, one begins to question, why? Differences between people are often superficial in daily life, but with those walls there, they become official. This bold, double vision presence upon the land seems so strange and harsh, but in concept it is nothing new. Border walls exist all over the world today. These walls were built on the boundaries of prototypical (pre-modern) states with centralized governments. They defined the geographic reach of imperial territories against lands occupied by decentralized tribes. This differs from our understanding of state boundaries in the modern world in which most of the entire globe lies within the territories of one state or another. Over the time of the Great Wall's construction, the state we recognize today as China was surrounded by marauding nomadic tribes. The Great Wall protected the people and resources of the state from invasion by these tribes while regulating trade and immigration. This defensive fortification in Roman Britain was begun during the rule of Emperor Hadrian. Like the Great Wall of China, it was built to keep barbarians out of the Roman Empire and also to provide customs checkpoints for the movement of goods and people. Demilitarized borders exist between states that no longer view one another as a threat. Both countries have since withdrawn military presence and activity from their shared boundary. Named after the French Minister of War André Maginot, France constructed this permanent system of fortifications along the German and Italian borders in the run-up to World War II. The wall was mostly demilitarized after 1966. Many of the original fortifications have since been converted for other uses, including several wine cellars, a mushroom farm and a disco. The Berlin Wall, officially referred to by the German Democratic Republic (GDR) as the "Anti-Fascist Protection Rampart," was constructed to protect the East German population from perceived fascist elements conspiring to prevent a new socialist state. On November 9, 1989, after several weeks of increasing civil unrest, the East German government announced that all GDR citizens could visit West Germany and West Berlin. Over the months that followed, citizens from both sides began to dismantle the wall piece by piece. Today only a small section remains as a historical marker. Nation-to-nation barriers are those that were constructed on the national boundary of two or more present day countries and are ongoing sources of conflict. In an attempt to quell the world's highest rate of illegal border crossing, increases in drug and weapons trafficking, and related violence, President George W. Bush ordered the construction of several strategically placed sections of wall along the U.S/Mexico international border. 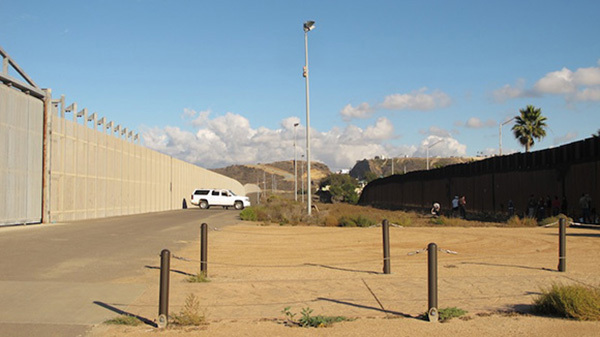 In 2010, President Barack Obama halted construction and reallocated all funding towards researching and upgrading border technology. The state of Arizona has vowed to continue construction of its portion of the fence through private online donations. Read more about the history of our border in a previous post by Susanna Newbury. India is constructing a barrier to prevent illegal immigration and the smuggling of weapons and narcotics from Bangladesh to the Indian state of Assam. In recent years, it has been a site of particular focus for Human Rights Watch (HRW) because of the border patrol's controversial shoot on sight policy. HRW reported in 2010 that over 900 Bengladeshi, including children, had been killed by both sides along the border in the last decade alone. In July 2010, the Iranian Interior Minister, Mostafa Mohammad-Najjar announced that the country would be building walls along its entire border with Iraq, Turkey, Afghanistan and Pakistan. The government has purportedly allocated 150 million dollars for this purpose. Green line and territory walls refer to those that separate nations from occupied territories or lands that are claimed by one and disputed by another. 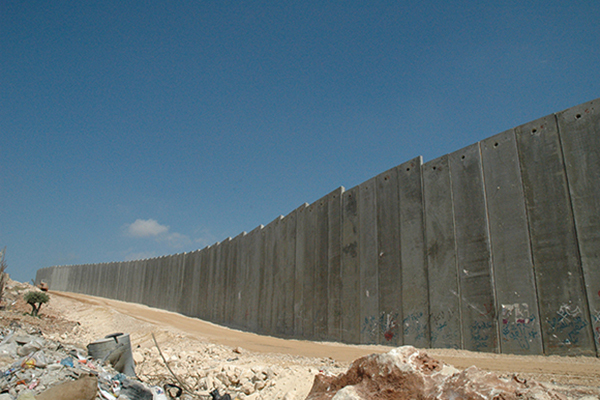 The Israeli-built barrier along the West Bank is primarily located within Palestinian lands. 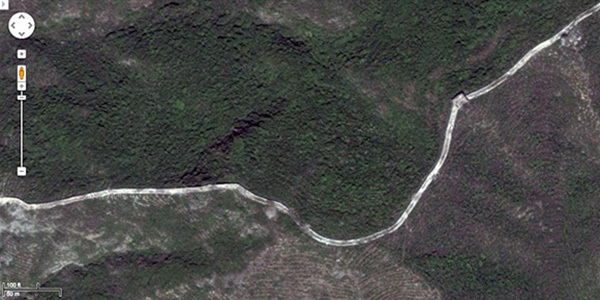 Only 15% of the barrier follows the so-called "Green Line", the internationally recognized border. Israel built the "security fence" as a military measure in the conflict with Palestinians. In 2004, the International Court of Justice in The Hague deemed the barrier was illegal. Palestinians view it as an "apartheid wall" which threatens their human rights, and believe that its true aim is to expand Israeli territory. Israel has also constructed fencing along its borders with Lebanon and Gaza, and is going ahead with plans to complete barriers at its boundaries with Egypt, Syria and part of Jordan. The Line of Control (LoC) established in 1972 separates the Indian states of Jammu and Kashmir from Pakistan's Azad Kashmir--all of which were once part of the "five Northern states of India" that both countries would like to claim as their own. 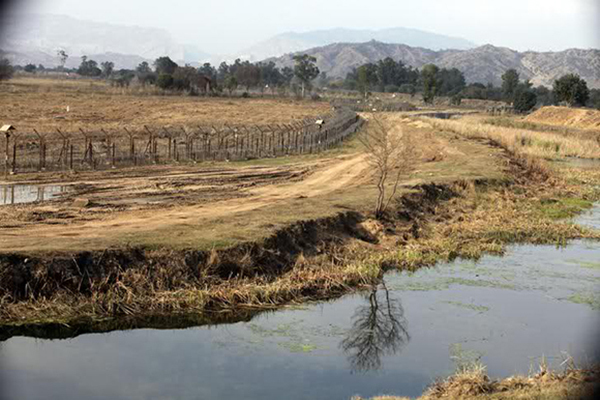 The fence, constructed by India, is situated 150 yards inside Indian-controlled territory. Its stated purpose is to exclude arms smuggling and infiltration by Pakistani-based separatist militants. The Moroccan Wall, or The Berm, divides the entire area of Western Sahara. Morocco built the wall in response to Polisario efforts to establish Western Sahara's independence. The wall initially contained just a small northwestern part of the territory, but by building a succession of six different walls, the Moroccans expanded their occupation to the majority of the contested land.